More than two centuries after his death, Alexander Hamilton is enjoying a renaissance of attention. The smash hit Broadway musical Hamilton, which recently won a Pulitzer Prize and 11 Tony Awards, has rocketed him to unprecedented historical fame. He seems like an all-purpose, durable hero. 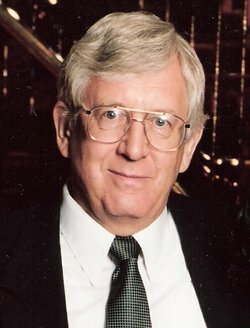 Conservatives in recent years have cited Hamilton as a proponent of limited government and support for business. Liberals point to the fact that he was the first federal official to stretch the new constitution by devising a legal doctrine of powers that are “implied” as well as enumerated in the document as justification for his central bank. Hamilton is perhaps the most fascinating of the Founding Fathers. Possessing extraordinary talent and energy, he served as George Washington’s aide during the Revolution, transitioned into a tireless champion for the Constitution and a strong central government, andled in the founding of the Federalist party. He served as the nation’s first Secretary of the Treasury and established the nation’s monetary system and the first National Bank. A bitter personal and political feud with Vice President Aaron Burr led to a duel where Hamilton was killed on July 11, 1804. Since that time, hundreds of politicians and pundits have laid claim to Hamilton as their policymentor and model. Hamiltontoday gets pulled and stretched in many directions. How did Hamilton get stretched so broadly? 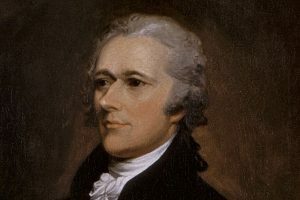 Over a long and extraordinary career, like most politicians, Hamilton was sometimes inconsistent and changed his mind. He could be argumentative and confrontational. Sometimes his words and deeds did not seem to line up. Pinning him down is complicated by the fact that his edited personal and political papers comprise twenty-seven thick volumes and his published legal and business papers add five more. One of the reasons Hamilton is hailed at both ends of the political spectrum is a profound and influential book published in 1909 by political theorist Herbert Croly, The Promise of American Life. Croly contended that there were two basic elements in American political thought, which he called Hamiltonian and Jeffersonian. The former had become identified in political discourse with strong government, aristocracy and special privilege, while the Jeffersonian dogma of weak government had become identified with democracy, equal opportunity, and equal rights. Croly believed that the new facts of modern industrial life called for a blending of the two, the use of “Hamiltonian means”(strong central government) to achieve “Jeffersonian ends”(social and economic justice). Croly went on to found the New Republic and hisrepurposing of Hamilton became one of the underlying tenets of American progressivism and liberalism. Theodore Roosevelt made Croly’s thesis for his campaign slogan of “New Nationalism” in his unsuccessful attempt to regain the presidency on the Progressive Party ticket in 1912. Croly’s ideas were part of the rationale for Woodrow Wilson’s New Freedom, FDR’s New Deal, Lyndon Johnson’s Great Society, some of President Clinton’s reforms, and some of President Obama’s major initiatives such as the Affordable Healthcare Act. Hamilton rocketed into contemporary public consciousness when the musical Hamilton opened on Broadway in August 2015. Created by Lin-Manuel Miranda, who also played Hamilton until recently, the play features a multi-ethnic cast, superb acting, snappy dialog, and hip-hop musical scores. It recasts Revolutionary era history in the language of today. Hamilton, an immigrant born out of wedlock, is young, passionate, scrappy, assertive, and impatient.Hamilton is about young rebels shaping the future of an emerging country.They are self-confident, even arrogant, and have outsized ambitions for both themselves and their cause. They demand attention and commitment. They won’t stand for delay or reasoned compromise. They are all about action. Chernow covers Hamilton comprehensively, showing both his conservative and liberal traits. Manual does more or less the same in Hamilton, but with exuberant songs, snappy dialog, and energetic dancing.The play captures and reflects Hamilton’s energy, complexity, strengths, and flaws. His towering intellect but also moments of doubt and brooding come through. There is a good deal in the play about his romantic affairs and marriage and his relationship with Aaron Burr, which culminated in the duel that ended Hamilton’s life in 1804. Tickets for the Broadway play are almost impossible to get these days. But historians and others can getwhat is probably the next best thing to being there,the recent book Hamilton: The Revolution, by Miranda and Jeremy McCarter. It provides a fascinating look at how the play was developed and produced and also presents the complete libretto. Chernow’s biography and Miranda and McCarter’s Hamilton: The Revolution are both on the New York Times best-seller list. But is Hamilton good history? In an article entitled ” ‘Hamilton’ and History: Are They In Sync?” in the April 11, 2016 issue of the New York Times, some historians lauded Hamilton’s courage, his anti-slavery stance, and the play’s multi-ethnic cast. But others saw his portrayal as a populist hero being at odds with his championing big banks and big business. Some criticized the play’s absence of African-American individuals. Some believed it properly elevated him to something approaching iconic status, but others said it overestimated his importance. Hamilton himself would probably have enjoyed all this attention. One thing everyone can agree on: He loved being at the center of the action. He kept moving. He got things done. But pinning Hamilton down and getting him to fit any particular pattern or support any particular contemporary cause, is practically impossible. He helped originate a political system that, from his day to this, like Hamilton himself, is complicated, sometimes inconsistent and contradictory, occasionally disputatious, and always evolving. Hopefully, it is also flexible and resilient enough to keep adapting to changing times.